Be inspired once more by the entrepreneurial journey of celebrity chef Hasset Go. Entrepreneur.com.ph pays tribute to one of the most inspiring young entrepreneurs in the country, who at the age of 29 joined his Creator last October 24, after spending more than a year fighting liver cancer. 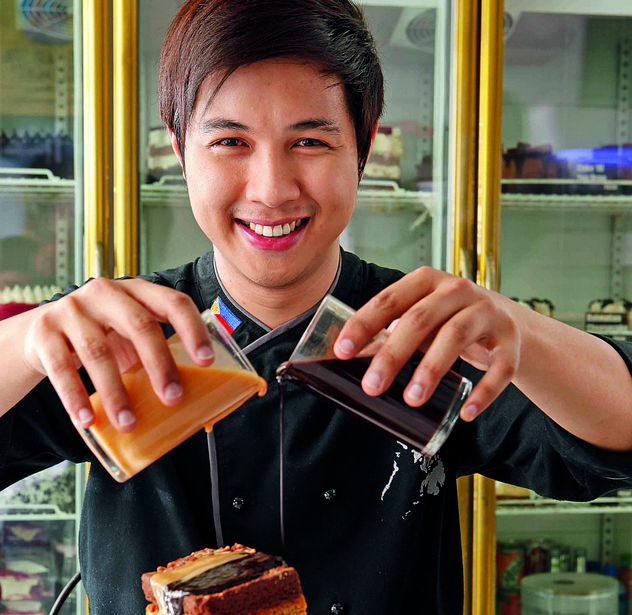 Chef Hasset Go worked hard to earn the title as the country’s Sweets Master. He was an entrepreneur, a mentor, a breadwinner, a loving son, and a supportive brother. Life came with too many surprises for Chef Hasset after he was featured in the pages of Entrepreneur magazine in 2012. Within three years, he had his shares of ups and downs as a businessman and as a family-oriented young man. For a short while, he sidelined into the limelight as a patient and determined brother when his elder sibling, Rowden fought (and succumbed to) a hard battle also with liver cancer in 2014. Many of us will remember him as the best man to his brother’s wedding at the hospital; a video of which became viral on YouTube and the story was even featured in a couple of televised drama shows. Shortly, after that, he was diagnosed with Stage 2 liver cancer. His mother, Lorelei, fondly remembers him as an ideal son, who showed his entrepreneurial spirit even at his young age when he started helping her operate their small family business in their province. His youngest brother, Hisham, who incidentally, has just been diagnosed with liver cirrhosis, remembers him as a motivator, who had always guided him to look at life positively despite the major challenges that come their family’s way.